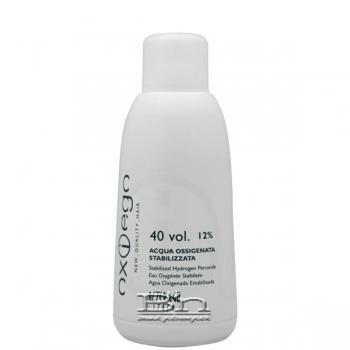 Alter Ego Oxiego Stabilized Hydrogen Peroxide - 40 Vol. Formulated to enhance the application of the colour in cream while maintaining unchanged the initial volume in time. It contains hydrogen peroxide (12%).